Start at the Christmas Meadows trailhead near highway U-150 and head up 6 miles to the headwaters of the Ostler Fork of the Bear River in the Uintas Mountain Range of Utah. This image is actually 3 images combined. One image at sunset provides a touch of color, an image in the blue hour provides the dark blue sky and dark foreground, and a later nighttime exposure allows blending of a few of the brightest stars. 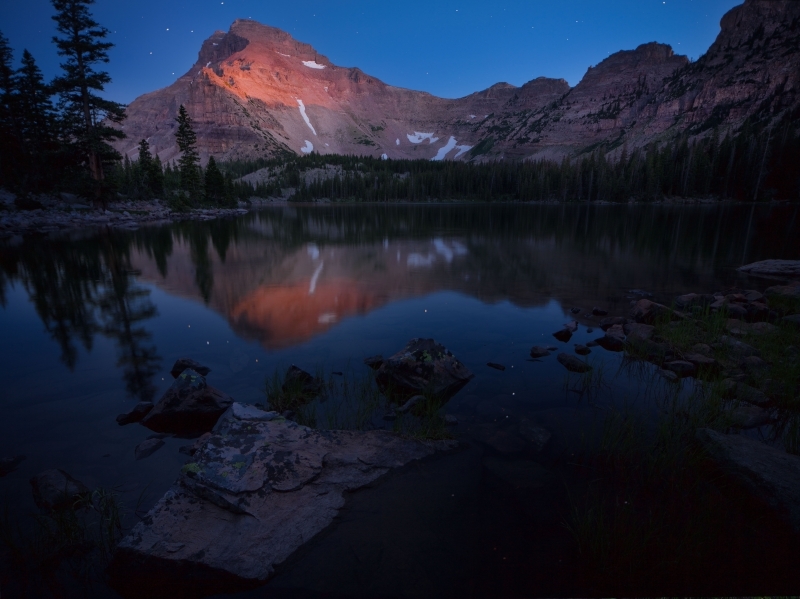 Stars begin to shine throught the cobalt sky over Ostler Lake in the Uintas of Utah.